I'm not a big fan of pattern paper--it's just too thin for most of my projects--but the recent closings of the Archiver's stores led to a number of 6x6 paper packs making their way to my studio. I recently saw this technique on Tricia's blog, and I just had to try it out for THIS Operation Write Home challenge. 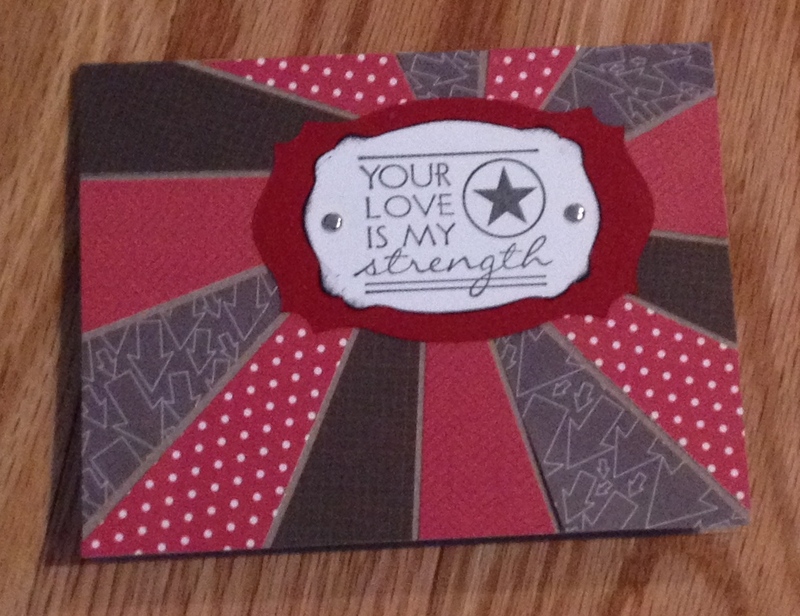 We were to use five background papers--I used four pattern papers and the tan card base. 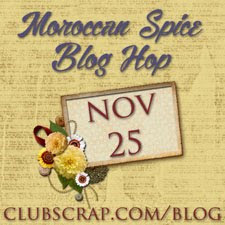 If you want the instructions for cutting the papers, check out Tricia's blog, The Efficient Crafter. Thanks for taking a peek at my card. I hope you have a wonderful Fourth of July weekend! I really like your card and the colors! Very nice! Thanks, Debora! I appreciate your comments. Beautiful card! I love the colors. I'm going to check out Tricia's blog for the instructions. Thanks for joining my challenge.